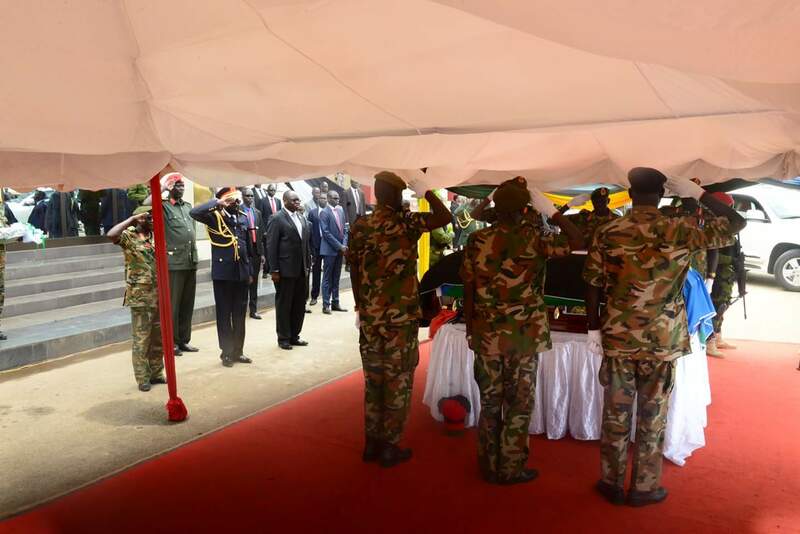 South Sudan president Gen. Salva Kiir Mayardit on Tuesday joined other military Commanders, officers and NCOs in a military parade in honor of the late Gen. James Ajongo Mawut, the former Chief of Defense Forces, of the Sudan People’s Liberation Army General Headquarters. 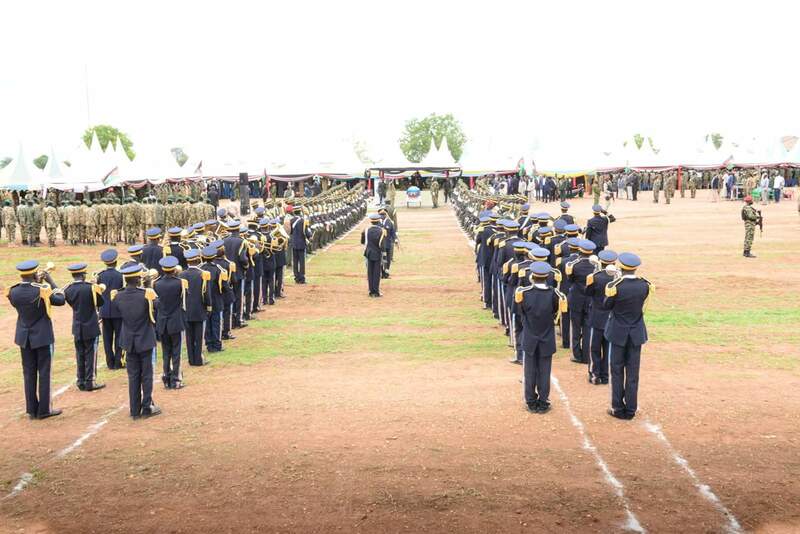 The parade held at the Dr. John Garang Mausoleum in Juba was also graced by a number of ministers, advisers and military representatives from Ethiopia, Tanzania, Sudan, Rwanda and Uganda, as well as military attachés of the United States and the United Kingdom in Juba. Some of the foreign dignitaries pay their respects at the Presidential palace in June on Tuesday. 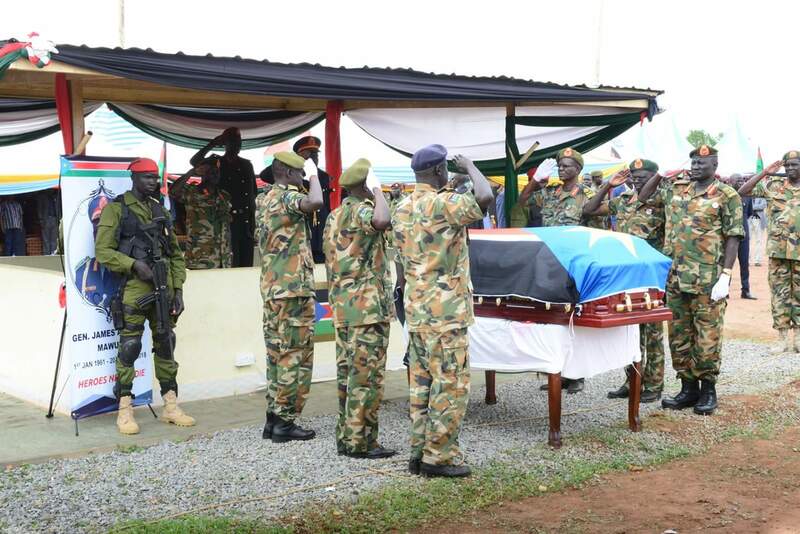 In his address, Gen Kiir said the sudden departure of the leader of the SPLA, Ajongo, can be likened to the departure of the nation’s liberation icon, Dr. John Garang de Mabior, who “left at a time when the SPLM and the SPLA were in the process of entering into the post-war interim arrangement.” Gen Kiir added that Gen. Ajongo Mawut had a truck vision of reforms within the SPLA. Kiir lauded the people of South Sudan for standing in unity with the army leadership and the family of the deceased in this difficult time. The President acknowledged the role played by the Arab Republic of Egypt, the people and the government during the treatment of the deceased hero. Gen Awut at a past function. Speaking about the late Army Chief President Kiir referred to him as national symbol who made great sacrifices for the freedom and stability of the country. Hundreds of mourners attended the occasion. Gen Mawut Ajonga died after months of illness. It was not immediately clear what caused the death, however family members confirmed to journalists that the army boss died on Friday morning in a military hospital in Cairo, Egypt. Ajonga spent months in Kenya receiving medical attention before he was relocated to Cairo, Egypt. 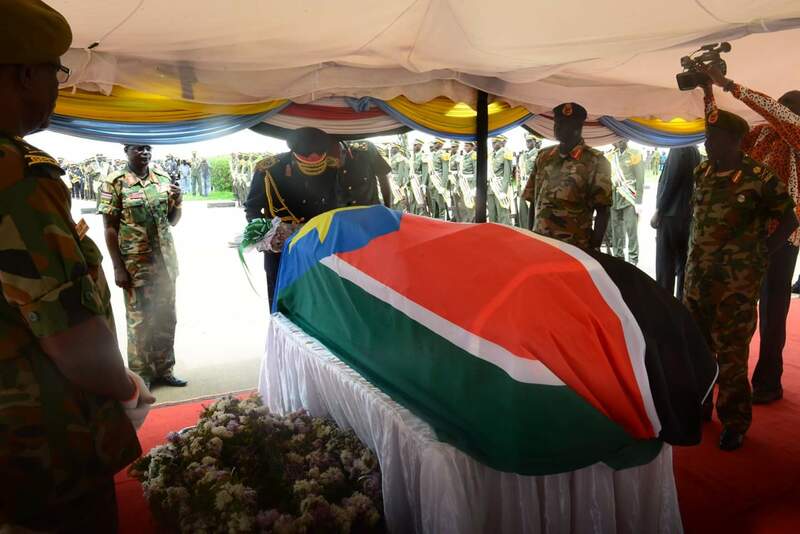 Upon receiving news of the general’s death three days of mourning were declared in South Sudan with the national flag flown at half-mast. 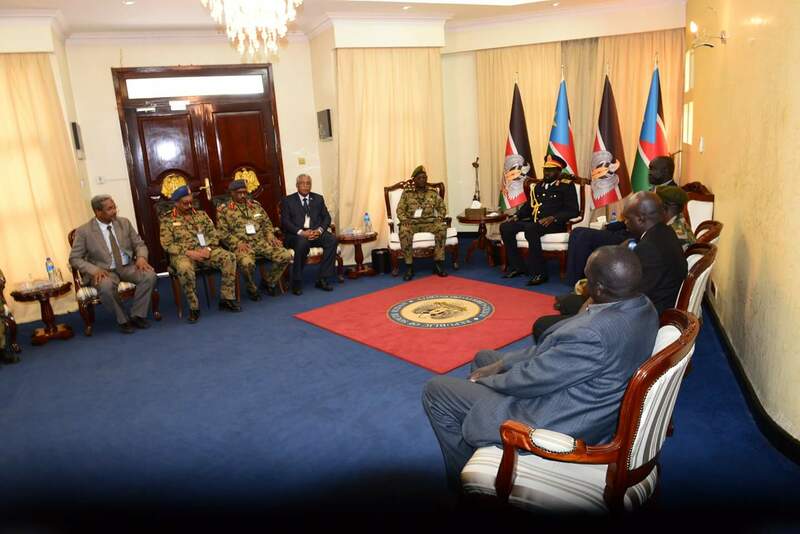 Gen Mawut replaced former army chief of staff Paul Malong Awan, who was removed from the office in May 2017 through a presidential order, causing tensions and standoff between him and the government before elders mediated his release to neigbouring Kenya where he recently declared forming armed opposition. 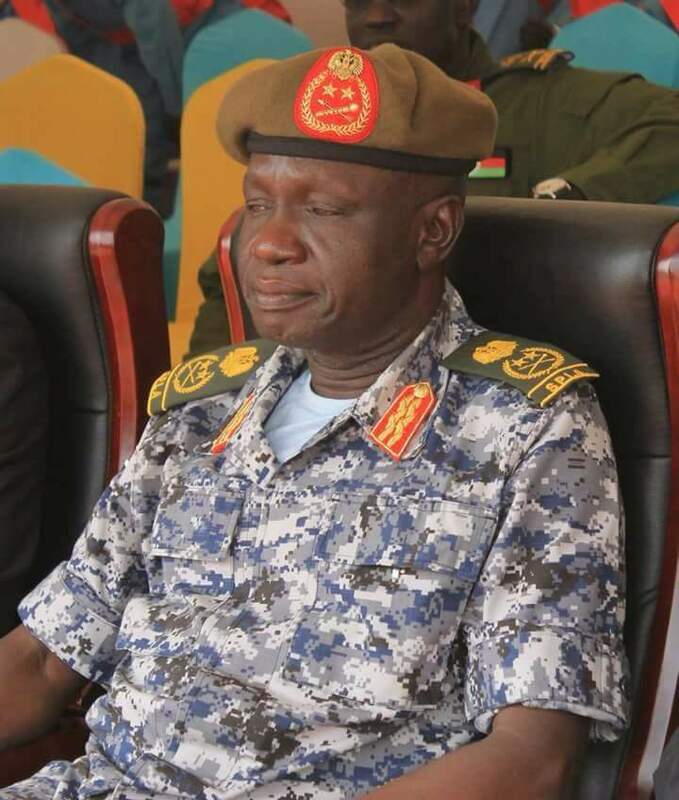 Ajongo joined the Sudan People’s Liberation Army, the formal name of the South Sudanese military, in 1983, when the SPLA was still a rebel group fighting for independence from Sudan.